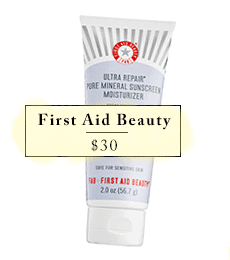 Sunscreen should be an essential part of every person’s skincare regimen. Wearing sunscreen is the best protection against skin cancer, not to mention that it keeps your skin looking young. If all you’re doing when choosing a sunscreen is looking at the SPF on the bottle, you’re doing it wrong. Here’s everything you need to consider when picking the best sunscreen, as well as my top 7 picks for cruelty-free sunscreen! 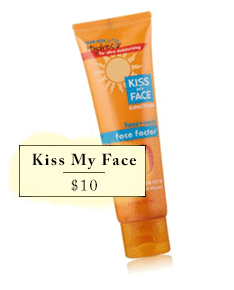 The following are my absolute top picks for face and body sunscreen. 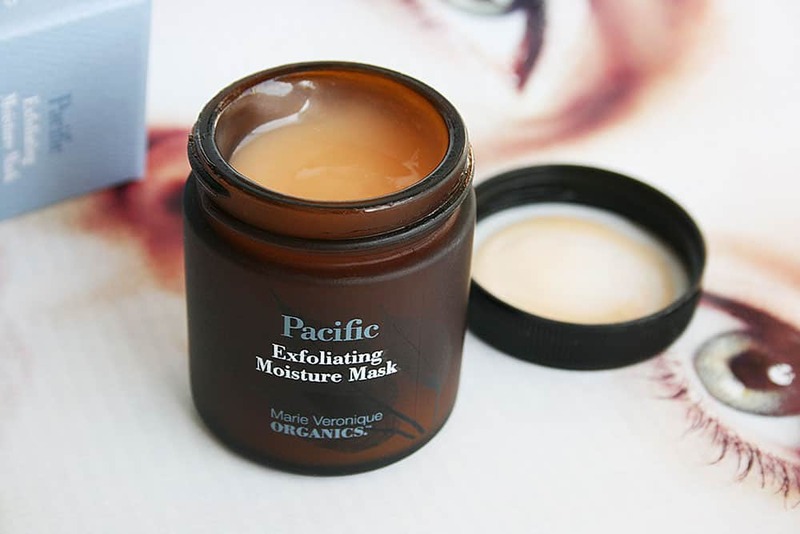 They’re all cruelty-free and they ALL contain the mineral zinc oxide, which blocks both UVB and UVA rays. 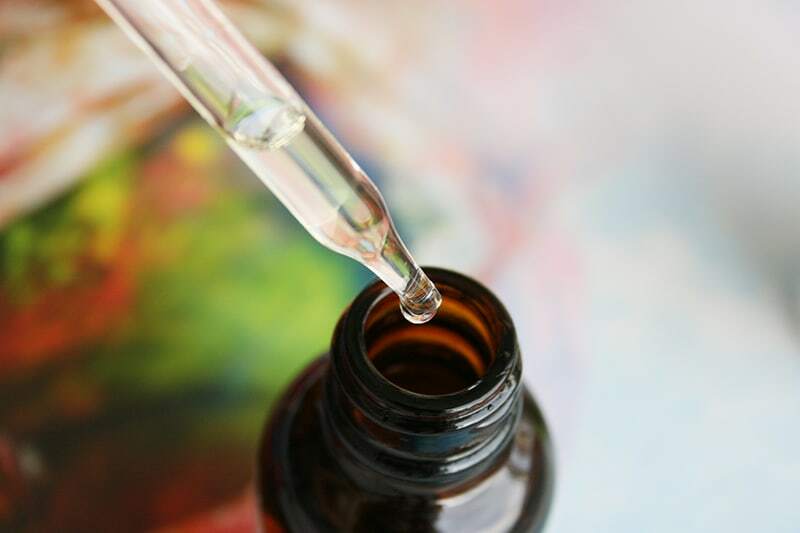 It’s also a safe ingredient and should cause no adverse reactions or breakouts, if you’re acne-prone. Note: The following 6 sunscreen recommendations are for facial sunscreens! Keep in mind that I have combination skin and generally wear sunscreen under makeup. You’ll find my favorite body sunscreen at the end of the post. 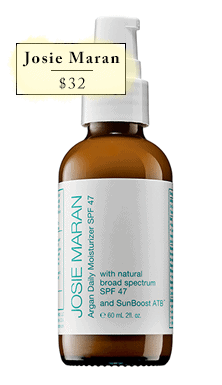 This is a physical sunscreen with a very high SPF of 47. Great daily sunscreen, very moisturizing. 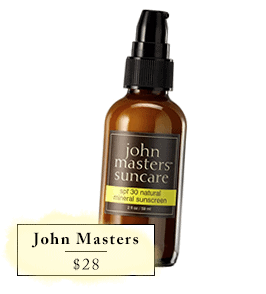 This one works great for oilier skin types or for extra hot, humid, sweaty summer days. I love the texture and the price tag! It’s great if you’re on a budget. 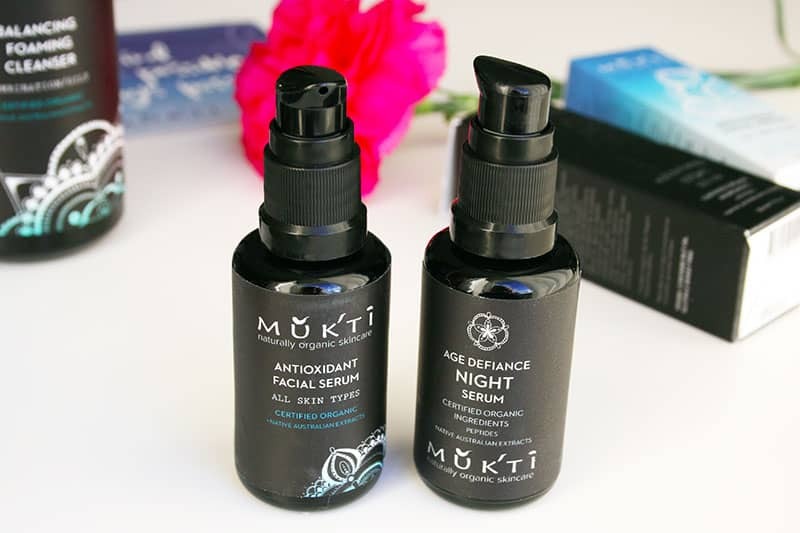 Lightweight, extra protection, and bonus anti-aging ingredients! This is another favorite and it’s great under makeup. Last but not least, if you’re looking for a good sunscreen for your whole body, I highly recommend Cool Sport SPF 50 by Kiss My Face. I’m not as particular when it comes to a body sunscreen so I don’t go for anything too pricey. 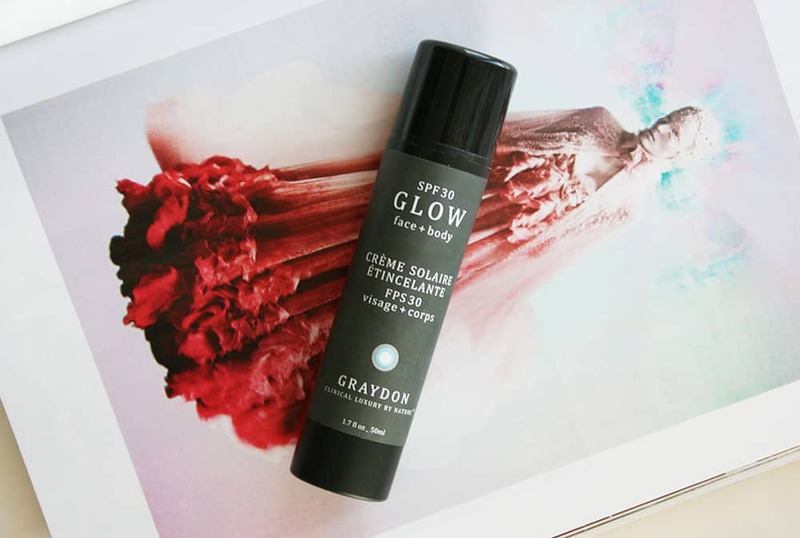 This “Cool Sport” sunscreen has a high SPF, doesn’t feel icky, and is really affordable. Simply put, the sun’s rays act as a carcinogen and cause skin damage. If you’re still not convinced, this picture will probably change your mind! 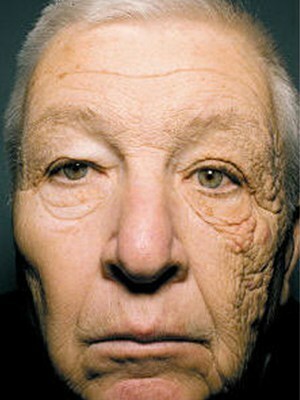 This 69-year-old man was a trucker for 28 years, with half of his face exposed to the sun from the driver’s side window. Should I pick a physical sunscreen? The answer is yes. There are two types of sunscreen: physical sunblock, which acts as a barrier and blocks the sun’s rays, and chemical sunscreen, which is absorbed by the skin and protects it from the sun by forming a chemical reaction. To determine your sunscreen’s type, just look at the ingredients. The active ingredients in physical sunscreens are titanium dioxide and/or zinc oxide, while chemical sunscreens contain other active ingredients like Octylcrylene, Oxybenzone, Avobenzone, Helioplex and Mexoryl. There are many, and some of them are patented. 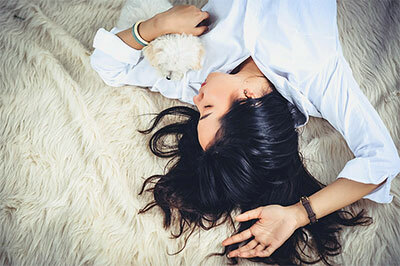 Using a physical sunscreen is generally recommended for various reasons: it’s immediately effective, more photostable, and there’s less risk of allergic reaction or other health issues. 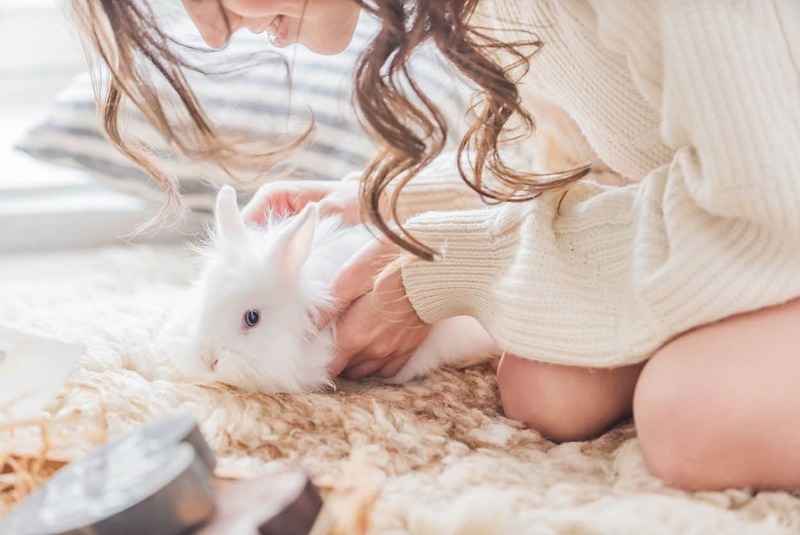 The main reason why I personally favor physical sunscreens is because they use ingredients whose safety is proven, and therefore don’t require any more animal testing. 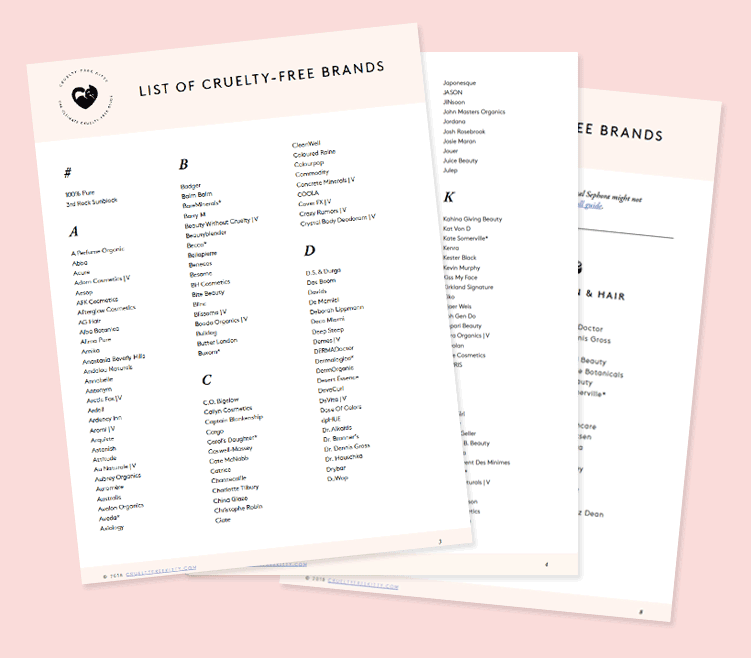 On the other hand, companies who make chemical sunscreens have a much higher chance of testing their products on animals, as they must come up with new ingredients and formulations. Most doctors recommend using a sunscreen with an SPF of 30 of higher. 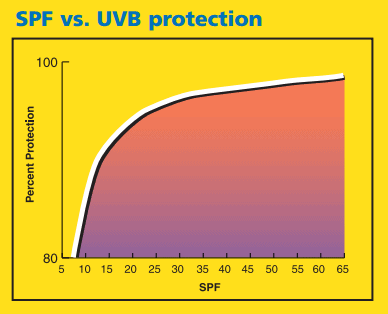 In fact, the higher the SPF, the less big of an impact it has on sun protection, as you can see in the graphic below. 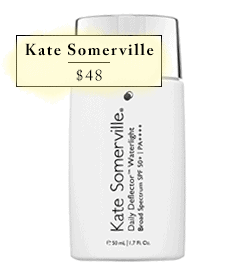 An SPF of 30 will protect against 97% of UV rays, and an SPF of 50 will protect against 98% of UV rays. 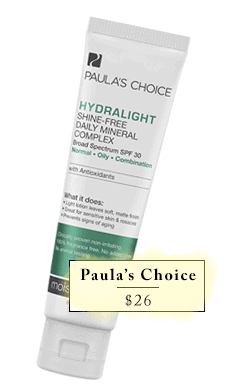 That being said, those that are sensitive to the sun or have pale skin should go with a higher SPF. Note that zinc oxide is essential when choosing a phyiscal sunscreen, as it blocks both UVB and UVA rays (which is referred to as a borad-spectrum sunscreen), unlike titanium dioxide. The SPF 15 in your foundation or moisturizer is pretty much useless, as you’re most likely not applying enough product to provide said SPF. Because you need to apply a good amount of sunscreen for it to be effective, it’s recommended to wear an actual sunscreen product under your foundation. Wear sunscreen on cloudy days and all year long, as you’re still being exposed to UV rays even when the sun isn’t bright. Because skin cancer can happen on the lips, it’s recommended to wear a lip balm that has an SPF of 15 or higher. Wearing sunglasses is just as important, as it protects both of your eyes and eye lids from harmful rays. If you’re out in the sun, always re-apply sunscreen every 2 hours or after sweating. I took a look and this seems like a good find. The only thing that irks me is that they’re not listing their full ingredients for the sunscreens. I asked a question but found the answer when I read the post again! 🙂 Great post. Badger Balm has an excellent cruelty-free line of sunscreens too! I just picked up a tube of sunscreen from Target called, “Bare Republic Natural Sport SPF 50”. presented by Coola. 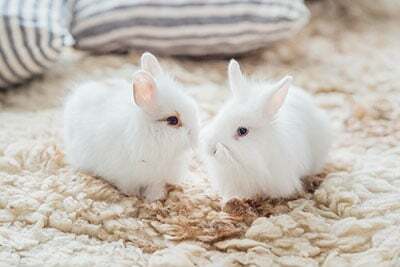 Can you tell me if it’s cruelty free? Also, the website for this brand is not yet up and running and I can’t find any info on the Coola website either. There is a big eared bunny logo on the back of the tube but no explanation as to what exactly this means, ie: no animal testing, or no animal ingredients. 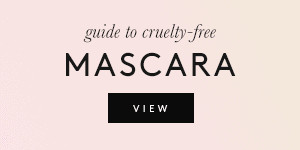 It looks like a decent product but I want to be sure it is truly “cruelty free”. Is it a Leaping Bunny or PETA logo? Otherwise I would wait until the website is up and contact them to make sure. The box says vegan and cruelty free. You’re good to go! That’s great that it says vegan and cruelty-free on the box, but it’s always good to check for the Leaping Bunny and PETA logo as well. If neither is present, I would definitely recommend reaching out to the company directly! Make sure to ask them about their finished products, ingredients, suppliers, as well as third party testing. Another thing to consider is whether or not they sell in mainland China, where animal testing is mandatory by law. Hope this helps! 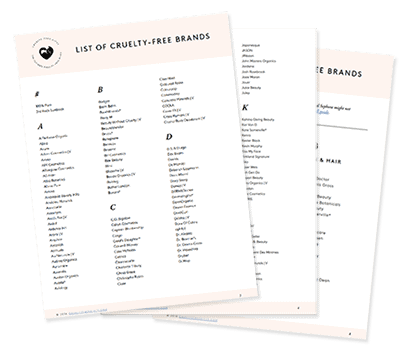 Some of the above mentioned brands are not found in Leaping Bunny’s cruelty-free list, for example, Kate Somerville and John Masters. As I understand Leaping Bunny is the gold standard and this may be misleading for the readers? The Leaping Bunny might be the “best” certification, but it’s neither the only one nor exhaustive. Thank you Sarah for your research! It’s definitely going to help the Aussies our there! Unfortunately I have no idea about these regulations but it’s possible some sunscreens “exaggerate” the SPF, and Australia actually has better standards. The sun in Australia has a different rating itself… If you’ve been to any country in the northern hemisphere I’m sure you’ve noticed that the sun doesn’t burn as easily as it does ‘Down Under’. So they compare the sun protection levels to the harsh Australian sun instead. Which one of these is the BEST to wear under make up?? I’ve been searching CF sunscreen. I read Australian Gold is on Peta but I’m worried it’s a “umbrella company” I’ve searched and can not find (owned by) do you know?? Hi Tonya! While Australian Gold is on PETA’s list of cruelty-free companies I’m not sure if they are part of an umbrella company. If you want to be sure I definitely recommend reaching out to them! Make sure to ask them about their finished products, ingredients, suppliers, as well as third party testing. 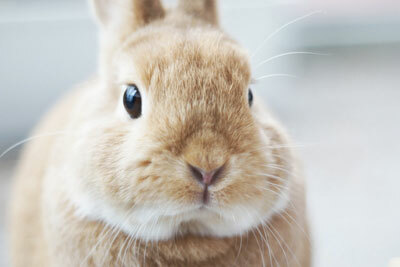 Another thing to consider is whether or not they sell in mainland China, where animal testing is mandatory by law. Hope this helps! SunBum is also an incredible, vegan, cruelty-free, damaging-“I can’t pronounce the chemical”-free, and is sold both on Amazon and in Walgreens/Target. They make sunscreens for face and body, after sun cooling gels, hair products, and lip balms too coming in four different SPF levels. I personally love them! Hi Ciara, Thanks for your comment! I am looking into Sun Bum now. Thanks! It would’ve been nice if you included one or two chemical sunscreens. I’ve never come across a physical sunscreen that didn’t leave a white cast on darker skin. I understand you’re writing from your own experience, but a more inclusive run down would’ve been lovely. Thanks. On a post the same day ,you also said FAB is not cruelty free, which post is correct? 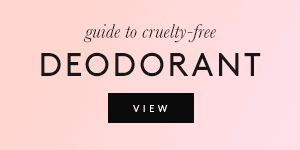 They finally clarified everything and they’re cruelty-free. Thank you so much, I have acne prone skin and never thought I would find sunscreen that was both cruelty free and suitable for my skin. Can’t wait to try these out! 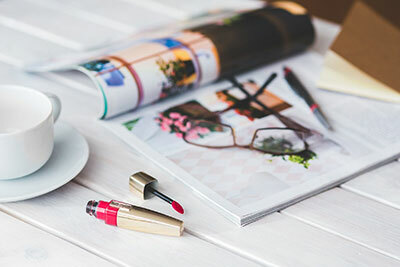 How do you recommend reapplying throughout the day when you’re wearing makeup? Any tips? Hi!!!! I’m looking for an everyday face sunscreen that is not too heavy. do you have any recommendations?